So your eye doctor has told you that you have a cataract. The lens of your eye has become cloudy, and depending on how far the cataract has developed, you may already be experiencing symptoms like blurry, hazy vision, colors appearing dull, or difficulty driving when dark. Although cataracts are quite common, especially after age 60, the diagnosis can still come as a surprise. 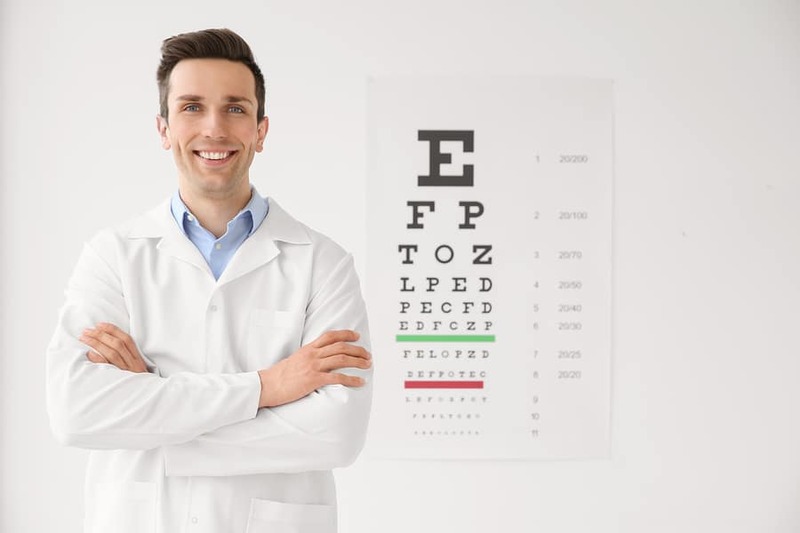 Here are five questions that may help guide your discussion with your eye doctor and help you to make informed decisions. 1. How will I know when it’s time for cataract surgery? Cataracts occur naturally as a part of the body’s aging process. But being diagnosed with cataracts does not necessarily mean that surgery is immediately required. Cataracts can develop slowly, and in the beginning they may have little impact on vision. Over time, though, cataracts will likely grow larger, and the resulting loss of vision may begin to interfere with everyday life. Most doctors recommend removing the cataract when it begins to interfere with activities you enjoy, and/or impacts your ability to drive safely after dark or perform routine, everyday tasks. The more information you can provide your doctor, the better. For example, does lack of contrast or visual clarity make it difficult for you to read or cook? Do you avoid driving at night? Are you no longer able to enjoy outdoor activities like skiing or hiking because your vision makes it too difficult? Discussing with your doctor what you should look out for may help you to more easily recognize the signs that it’s time for cataract surgery. 2. How will cataract surgery improve my vision? Cataract surgery is one of the most common and most effective surgeries performed worldwide. Post surgery, many people find that they can resume driving at night since the effects of the cataract, like glare and halo from oncoming traffic disappear. Reading may also become easier. Once the cataracts are removed, your ability to distinguish an object from its background may improve, including the potential for improved ability to read in dim lighting. Asking your doctor about the specific ways cataract surgery may improve your vision could help you to identify how diminished vision is affecting your daily life and guide a discussion about cataract surgery timing. 3. Which type of replacement lens (intraocular lens) is right for me? During cataract surgery, the natural lens of the eye which has been clouded by a cataract is replaced with an artificial lens known as an intraocular lens or IOL. There are many different types of IOLs. Some may be designed to improve distance vision, some to improve near vision, some for correcting astigmatism, and some that have a combination of these. The choices can be overwhelming. Discussing with your doctor the pros and cons of different IOLs can help you to make an informed decision about which one is right for you. 4.What to expect from cataract surgery? While cataract surgery is very effective and can have positive effects, like restoring visual clarity and reducing your dependence on glasses or contact lenses, it is still surgery and it may cause some anxiety. Understanding exactly what the process entails can set you at ease. Most cataract surgeries are performed on an outpatient basis and do not require an overnight stay in a hospital or clinic. The procedure typically lasts only about 15 minutes. The more you know about what to expect, the better you will feel about cataract surgery. Be sure to discuss any concerns and questions with your eye doctor. 5. What is the recovery process like? Typically after cataract surgery, you will be prescribed medicated eye drops and may be given a protective eye covering to wear for a period of time while sleeping. You may also be given a pair of sunglasses to help protect your eyes from sunlight while they are healing. Discussing the details of cataract surgery recovery with your doctor will help you to prepare ahead of time. For example, you may need someone to stay with you during the surgery, to drive you home after the procedure, and possibly to help you with household tasks. Planning is easier when you know exactly what to expect and what your specific needs might be. If you have been diagnosed with a cataract, be sure to discuss all aspects of cataract surgery with your eye doctor. It will help your doctor understand how the cataract is affecting your everyday life so they can make recommendations specific to your situation. It may also help you to be more at ease with the idea of surgery and help you to be prepared ahead of time.